Make a SPLASH this summer in this Winter Park gem of a house with sparkling pool and Winter Park/Orange County schools at an affordable price. A stunning NEW custom kitchen awaits the chef in your home with stainless steel Kitchenaid appliances, quartz counter tops, beautiful backsplash and white cabinets and breakfast bar that opens to the spacious family room. This 3 bedroom, 2 bath abode has loads of space and lives large with formal living room, dining room and a split bedroom plan. DOUBLE PANE sliders and windows along with natural gas (and new gas water heater) add to the energy efficiency of the home (and a NEWER ROOF). The master bedroom with wood laminate flooring and attached en-suite has a walk-in closet, large vanity and separate tiled shower. A set of glass sliders lead out to the covered and screened patio (29â x 9â) overlooking the pool and grassy lawn; there is even a large patch of premium artificial turf perfect for yoga. On the other side of the home are two good sized bedrooms and full bath with double sink vanities and door to the pool. 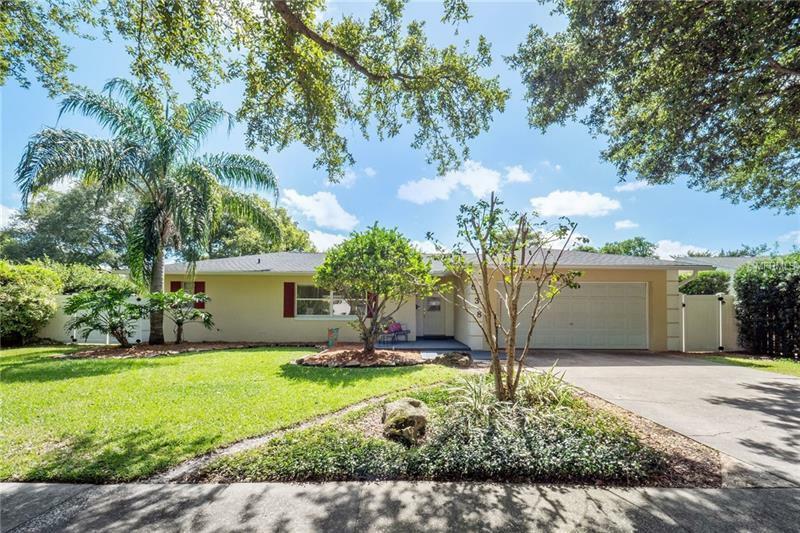 Located on a quiet cul-de-sac/dead-end corner lot gives you privacy and extra yard space in this charming Winter Park Forest home. Zoned for Lakemont Elem, Maitland Middle and Winter Park High with easy access to shopping and restaurants (Publix and Costco are only 5 minutes away).